The CrossFit Judges Course offers an introduction to the skills a CrossFit judge will use during any competition and is a prerequisite to judge on site during the Games. The course provides an overview of the knowledge and skills used during competition, including movement standards, common faults and repetition counting. The course concludes with a final exam. 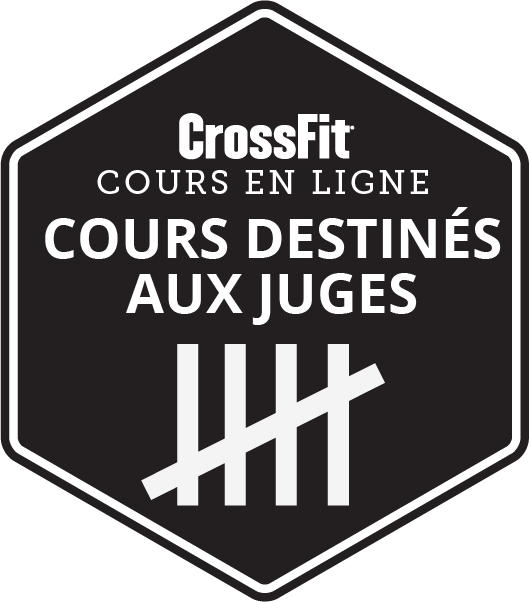 Successful completion of the yearly course awards the judge a certificate that is valid for the current CrossFit Games season. A Certified CrossFit Trainer may claim 2 CEUs toward their continuing education by passing the exam. It is recommended that the course is viewed on a laptop using Google Chrome. This course can be completed in multiple sessions. However, it is recommended that you complete a full module before exiting the course, as work on partially completed modules will not be saved.